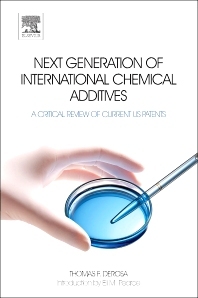 The objective is writing ‘Next Generation Chemical Additives’ to identify the next generation chemical additives for eight selected industries. The text will also provide methods for their preparation, additive treatment levels, and testing methods to evaluate additive performance. To ensure optimum performance of materials and products, chemists, formulators, and blenders must be provided with the most current information on existing chemical additives. It is even more essential that corporate operations officers can easily identify the next generation of chemical additives. In addition to this a critical comparison will be given with the existing additives. chemists and chemical engineers working in the research and development within the following industries: automotive, biotechnology and biomedical, consumer goods, engineering companies for new materials, fibers, Food industry, plastics, polymer alloys and composites. The book could also be useful to process engineers in these industries.